Let’s spend a class with just us ladies celebrating GALENTINE’S Day! It’s the same menu as the couple’s Valentine’s class because it’s just fabulous and worth repeating. 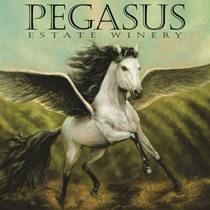 Pegasus Wines will join in the fun sharing their beautiful wine selections. So grab a gal pal and let’s cook this! PS: Dress fun, put on makeup and wear impractical shoes. Anything goes! This recipe is great for an easy weeknight meal-so healthy and filling too. 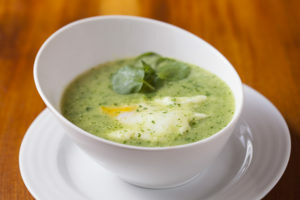 It’s packed with antioxidants from the highly nutritious watercress and is naturally dairy-free. 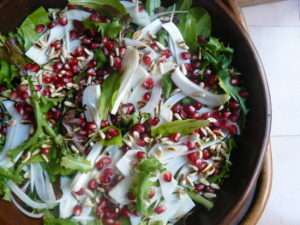 This beautiful green salad is embellished with shaved fennel, pomegranates, and pine nuts. The green goddess dressing has a cashew nut base and is simply delightful. This is a surprisingly easy meal to prepare and the results are visually stunning. 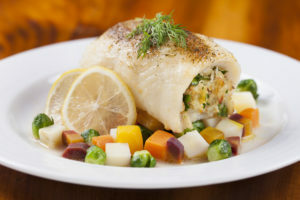 If you enjoy fish as a part of your healthy living lifestyle, this recipe is a game changer. It’s low calorie, delicious and fast. It will be served with a delicious winter vegetable mix. 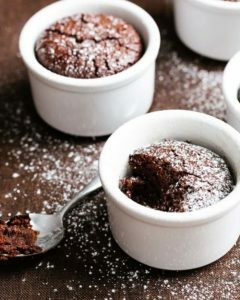 This delicious and decadent gluten-free dessert is a special treat and perfect for Valentine's Day. The ingredients are simple, whole and healthy!